For other uses, see Spike Jones (disambiguation). Spike Jonze (pronounced "Jones" /dʒoʊnz/; born Adam Spiegel on October 22, 1969) is an American director, producer, screenwriter and actor, whose work includes music videos, commercials, film and television. He started his feature film directing career with Being John Malkovich (1999) and Adaptation (2002), both written by Charlie Kaufman, and then started movies with screenplays of his own with Where the Wild Things Are (2009) and Her (2013). Jonze was born on October 22, 1969 in Rockville, Maryland, and grew up in Bethesda, Maryland and in Gulph Mills, Pennsylvania. His father, Arthur H. Spiegel III, was a distant relation of the Spiegel catalog family, and founded APM Management Consultants. His mother, Sandra L. Granzow, is a writer, communications consultant in developing countries, and artist. His brother, Sam "Squeak E. Clean" Spiegel, is a producer and DJ. He also has a sister, Julia. His father was from a German Jewish family, while his mother has German, Scottish, and English ancestry. Jonze attended the San Francisco Art Institute in San Francisco, California. When he was a junior in high school (Walt Whitman High School), Jonze spent time at a Bethesda community store, where the former owner Mike Henderson gave him his nickname "Spike Jonze" in reference to Spike Jones. He fronted Club Homeboy, an international BMX club, with Mark "Lew" Lewman and Andy Jenkins, both co-editors of Freestylin' Magazine in the mid- to late 1980s, where Jonze worked as a photographer. The three also created the youth culture magazines Homeboy and Dirt (the latter of which was described as "Sassy Magazine for boys," being published by the same company and distributed in cellophane bags with the landmark magazine for young women). In 2006, he was nominated by the Directors Guild of America for "Outstanding Achievement in Commercials in 2005." He was nominated for a body of work that included Hello Tomorrow for Adidas, Lamp for IKEA, and Pardon Our Dust for The Gap. He was a producer and co-creator of MTV television series Jackass and Jackass: The Movie, also directing some of the segments. 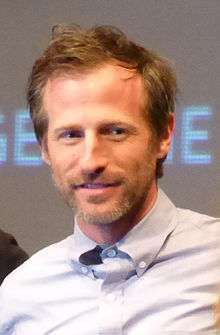 Jonze has acted in some videos and films; his most prominent role was in Three Kings as the sweet, dimwitted, casually racist Conrad, in which he was directed by friend David O. Russell. Jonze was a co-founder and editor of Dirt magazine along with Mark Lewman and Andy Jenkins, as well as an editor for Grand Royal Magazine and senior photographer for Transworld Skateboarding. In the past, Jonze shot street skateboarding videos, most notably Blind's highly influential Video Days in 1991, and Lakai Footwear's Fully Flared in 2007. He co-directed the Girl Skateboards film Yeah Right! and the Chocolate Skateboards video Hot Chocolate. In the closing credits montage of Yeah Right!, Spike is shown doing a nollie heelflip in loafers. He is co-owner of Girl Skateboards. Jonze holding a producer credit for The 1 Second Film. Jonze has many alter egos, including Richard Koufey (alternately spelled Coufey or Couffe), the leader of the Torrance Community Dance Group, an urban troupe that performs in public spaces. The Koufey persona appeared when Jonze, in character, filmed himself dancing to Fatboy Slim's "The Rockafeller Skank" as it played on a boom box in a public area. Jonze showed the video to Slim, who appears briefly in the video around the 3:57 mark. Jonze then assembled a group of dancers to perform to Slim's "Praise You" outside a Westwood, California movie theater and taped the performance. The resulting clip was a huge success, and "Koufey" and his troupe were invited to New York City to perform the song for the 1999 MTV Video Music Awards. The video received awards for Best Direction, Breakthrough, and Best Choreography, which Jonze accepted, still in character. Jonze made a mockumentary about the experience called Torrance Rises. At the 2001 Grammy Awards, the music video for Weapon of Choice won Best Short Form Music Video. He has a speaking part along with Dave Eggers in the Beck song "The Horrible Fanfare/Landslide/Exoskeleton" from his 2006 album, The Information. He appears in the "Exoskeleton" part. Since 2007, he has been the creative director at VBS.tv, an online television network supplied by Vice and funded by MTV. Spike Jonze was part of the Detour-Moleskine project in New York in 2007. The project invites authors to compile and illustrate Moleskine notebooks to provide an intimate insight into the artists' creative process. In 2008 he co-produced a new video for the Chocolate Skateboards "Easy Steady", direct by Ty Evans and Federico Vitetta in Milan, featuring the song "Felicità" by Bugo. Jonze directed Where the Wild Things Are, which opened in the United States on October 16, 2009. It was arguably his most anticipated film to date, the product of an almost decade long collaboration with author Maurice Sendak. The film received generally favorable reviews, and appeared on many critics' end-of-the-year top ten lists. In July 2009, Jonze acquired the rights to make a film adaptation of the Shane Jones novel Light Boxes. However, Jonze, in an interview with Times Online, said that Ray Tintori was no longer a director for that project as expected. In an interview with Interview Magazine in June 2010, Jones said the film option had been dropped. In 2010, he made a 28-minute short titled Scenes from the Suburbs, inspired by the Arcade Fire album The Suburbs. Scenes from his short were used in the music video to the album's title song, "The Suburbs". A dystopian vision of suburbia in the near-future, the short was co-written by Jonze, Win Butler, and Will Butler. Expanding on the themes of nostalgia, alienation, and childhood, the short premiered at the Berlin International Film Festival and saw its online premiere at MUBI on June 27, 2011. Jonze is good friends with Björk and frequently works with her. He has directed three videos for her and she contributed the theme song for Jonze's Being John Malkovich film. In 2011, Jonze collaborated with the Beastie Boys for the release of their Santigold collaboration, "Don't Play No Game That I Can't Win." 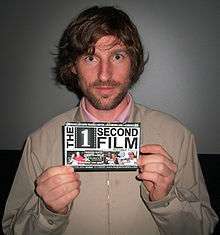 In a similar fashion to Jonze's work with Arcade Fire, he directed both "short and epic-length videos" to partner with the single. In 2011, Jonze directed the music video for "Otis" the second single from the album Watch The Throne by Jay-Z and Kanye West. On November 3, 2013, Jonze directed the live music video for Arcade Fire's "Afterlife" and documented Lady Gaga's live performance of "Dope" with Chris Milk for the YouTube Music Awards. Jonze's next theatrical project Her was released in late 2013. Her is a science fiction romance film starring Joaquin Phoenix, Amy Adams, Olivia Wilde, Rooney Mara, and Scarlett Johansson, and is Jonze's first feature-length original screenplay. The film follows a man (Phoenix) who develops a relationship with a seemingly intuitive and humanistic female voice, named "Samantha" (Johansson), produced by an advanced computer operating system. Jonze won the 2014 Golden Globe Award for Best Screenplay for Her. Jonze was nominated for three Academy Awards for Her, as producer for Best Picture, writer for Best Original Screenplay, and lyric writer for Best Original Song. On March 2, 2014, Jonze won the Oscar for Best Original Screenplay, which marks his first win. In 2013, Jonze played a role in The Wolf of Wall Street. 2015 Girls Actor (Marcos) Episode: "Home Birth"
↑ "THE DIRECTOR'S LABEL COLLECTOR'S EDITION BOX SET AVAILABLE NOVEMBER 16". Smells Like Music. Sperry Media. Retrieved September 9, 2012. ↑ "Spike Jonze Biography (1969–)". film reference. Advameg, Inc. 2012. Retrieved September 9, 2012. ↑ "Obituary for Spiegel". Obits.abqjournal.com. Retrieved 2014-08-12. ↑ Encyclopedia of American Cinema for Smartphones and Mobile Devices - MobileReference - Google Books. Books.google.ca. Retrieved January 11, 2014. ↑ O'Donnell, Kevin. "Hot Star Magnet: Sam Spiegel". Rolling Stone. Retrieved March 12, 2009. ↑ NATE BLOOMContributing Writer (October 16, 2009). "Jewish Stars 10/16 - Cleveland Jewish News: Archives". Cleveland Jewish News. Retrieved January 11, 2014. 1 2 Smith, Ethan (October 18, 1999). "Spike Jonze Unmasked". New York Magazine. New York Media. Retrieved August 19, 2008. ↑ Andy Jenkins; Mark Lewman (June–August 1984). "publications/Freestylin/1984". 23mag.com. Bob Osborn (Wizard Publications). Retrieved September 9, 2012. ↑ "Sneak peek: The monsters of where the wild things are". Slashfilm.com. January 16, 2009. Retrieved January 11, 2014. ↑ Fatboy Slim (October 15, 2009). "Rockafeller Skank (Spike Jonze Audition Demo Version)". YouTube. Retrieved March 24, 2014. ↑ Landay, Vincent (Producer) Brown, Richard (Producer) (2003). The Work of Director Spike Jonze (DVD). New York City: Palm Pictures. Event occurs at Side A, Commentry Track of Praise You spoken by Normal Cook (Fatboy Slim). 1 2 "Spike Jonze-Moleskine". Moleskine.com. Retrieved January 11, 2014. ↑ Business Wire (13 January 2009). "Vice Music Chooses The Orchard". Reuters. Thomson Reuters. Retrieved September 9, 2012. ↑ Chocolate "Easy Steady". Vimeo. Retrieved April 28, 2015. ↑ Saki Knafo (September 6, 2009). "Bringing 'Where the Wild Things Are' to the Screen". New York Times. ↑ "The Top Ten Chart For January 21, 2010". Movie City News. October 18, 1999. Retrieved January 21, 2010. ↑ Tim Teeman (May 15, 2010). "A cure for Aids? Spike Jonze is not joking". London: Times Online. Retrieved March 18, 2011. ↑ Laura Van Den Berg (June 22, 2010). "Shedding Light on Shane Jones". Retrieved March 18, 2011. ↑ "Scenes from the Suburbs". MUBI. Retrieved July 6, 2011. ↑ "Spike Jonze to direct 'epic' Beastie Boys video". London: The Independent. July 5, 2011. Retrieved July 6, 2011. ↑ Breihan, Tom (August 1, 2011). "Spike Jonze to Direct Jay-Z/Kanye "Otis" Video". Pitchfork. Retrieved November 3, 2013. ↑ "Spike Jonze to direct live music videos for Arcade Fire and Lady Gaga at YouTube Awards". NME. IPC Media. October 31, 2013. Retrieved November 3, 2013. ↑ "Sony Picks Up New Spike Jonze & David O. Russell Movies". Screenrant.com. November 14, 2012. Retrieved January 11, 2014. ↑ Los Angeles Times (January 12, 2014). "Golden Globes 2014: The complete list of nominees and winners". latimes.com. Retrieved April 28, 2015. ↑ "How Spike Jonze Ended Up in The Wolf of Wall Street". Retrieved July 10, 2014. ↑ "Jonze and Coppola Announce Divorce Plans". IMDb. Retrieved April 28, 2015. ↑ "Sofia Coppola, Spike Jonze to divorce". USA Today. December 9, 2003. ↑ "Sofia's Choice ", Entertainment Weekly, October 3, 2003. ↑ "Michelle Williams Confirms Split From Spike Jonze". Us Weekly. Retrieved March 2, 2014. ↑ Rinko Kikuchi: the interview, The Guardian, February 27, 2011. ↑ "Her (2013) (2013) - Box Office Mojo". Retrieved April 28, 2015. ↑ Los Angeles Times (February 1, 2014). "'Her,' 'Captain Phillips' win top Writers Guild film awards". latimes.com. Retrieved April 28, 2015.